lshw extracts detailed information about the hardware in your machine. It can report on your motherboard, CPU, Memory, Graphics and other hardware. 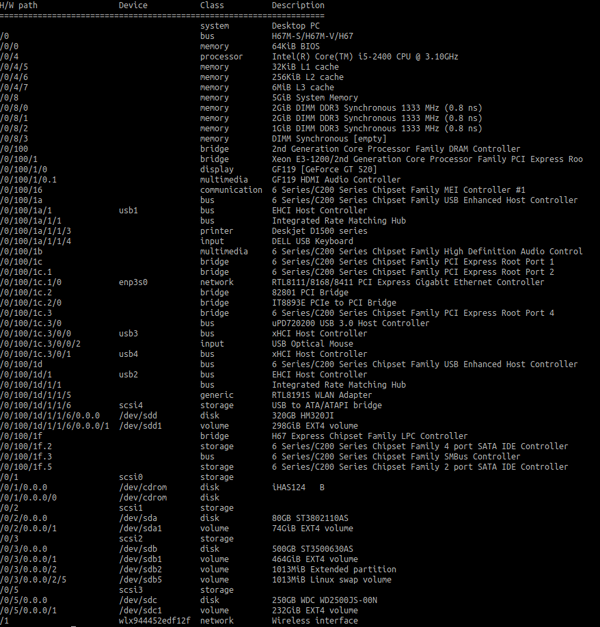 To list your hardware information, enter the following command in the terminal. You will need to enter your root password. If you want a hard copy of the information you can also export the hardware information to an .html document which can then be viewed in your web browser.